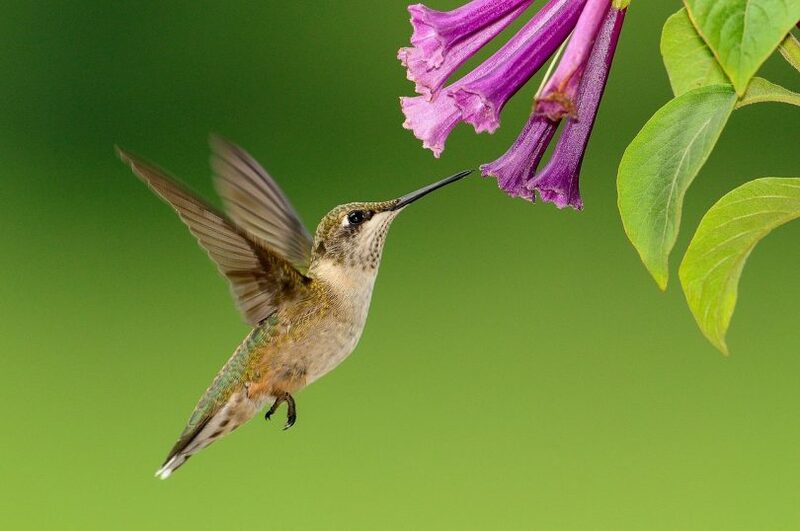 Enter the world of the eccentric, the obsessive and the passionate – birds appear to have an uncanny ability to captivate hearts and minds like no other animal. Bernd Brunner introduces the reader to a whole host of human characters, whose interest in birds and interactions with these animals varies wildly; however, the one thing that they all have in common, is a deep-rooted obsession. The book is an arresting object in itself before you even get down to reading it; it dazzles the eyes and fires up the imagination through the inclusion of stunning and rare artwork. This gives an immediate insight into why people are so enthralled by birds at a basic level – quite simply, they are beautiful to look at. Birdmania details the various permutations of people’s obsessions with birds, from the collectors, to the breeders, the watchers, the scientists and the conservationists. Through their fascinating and often bizarre stories, we also meet a few of the feathered characters that form part of their individual journeys. What becomes apparent is how our relationship with birds has changed over recent centuries, and how important they have been and are to humans; for example, as objects of worship, as a food source, for ‘sport’, as hunting aids, status symbols and ornamentation. In the days of the first exploration of ‘new world’s’ birds were often the first animals that people encountered when stepping onto new shores. People wanted to understand these birds and attempt to classify them. The move from hunting, owning and capturing birds, to observation in their natural surroundings, is a relatively new concept in the timeline of human-bird interactions. This book if nothing else, highlights the very physical effects that humans have had on birds; it is to be hoped that a similar book written in two-hundred years time, reflects a more respectful relationship with these bewitching animals. 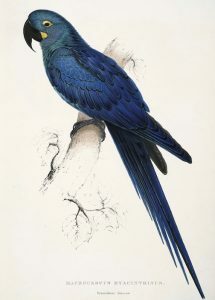 As Helen Macdonald, author of ‘H is for Hawk’, commented after reading the book – “These stories about birds are ultimately reflections on the curious nature of humanity itself”. About the Author: Bernd Brunner is an award-winning writer whose books have been translated into a variety of languages. His work has been published in Lapham’s Quarterly, the Paris Review, the Wall Street Journal Speakeasy, and the Huffington Post, and he has lectured at New York’s Bard Graduate Center for Studies in the Decorative Arts and Culture, the Bancroft Library of the University of California at Berkeley, and the Goethe Institute in San Francisco. Book review written by Kate Priestman (CEnv, MCIEEM) – Kate has over sixteen years experience as an ecologist. Prior to setting up her own consultancy business in 2012, Kate worked in London for over a decade, providing the lead ecology role for a number of high profile projects. Kate works as an artist, author, writer and editor. 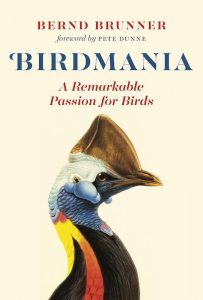 You can purchase Birdmania – A Remarkable Passion for Birds by Bernd Brunner, via Amazon, HERE.